Post news Report RSS	We’ve been Greenlit! Hurray! 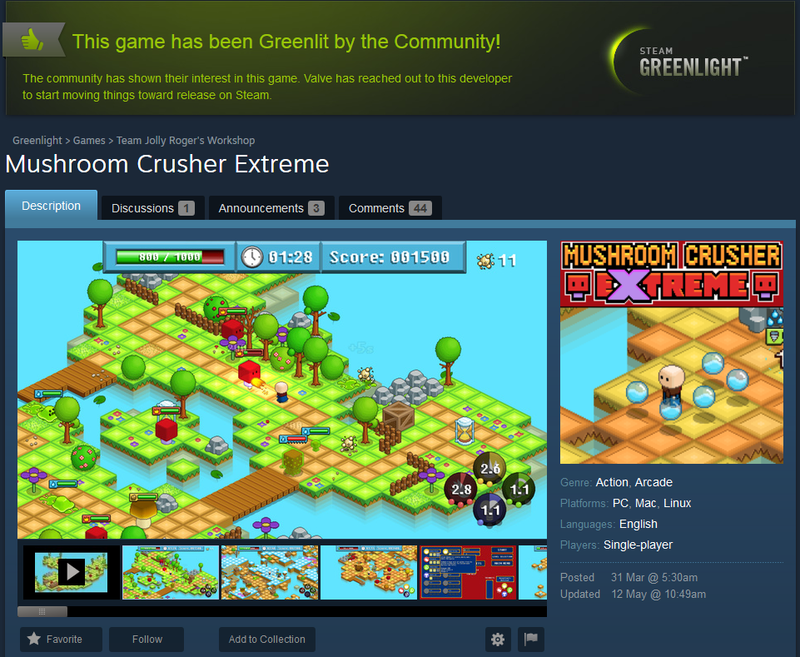 Mushroom Crusher Extreme has been Greenlit! We’re happy to announce that last night Mushroom Crusher Extreme got Greenlit! Our humblest thanks to all of you who supported us by voting, sharing opinions and spreading the word. The Greenlight race might be over, but the hard work on the game continues. Stay tuned for updates!